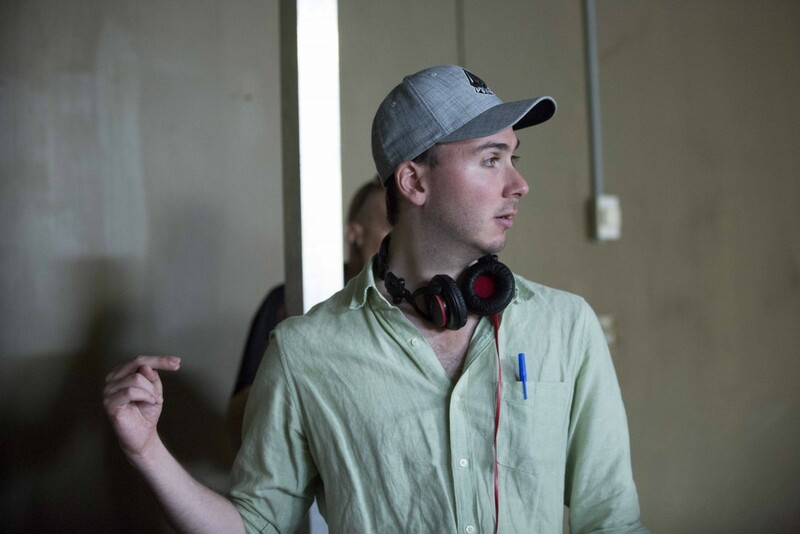 Coming off of his directorial debut, Tapped Out, Toronto native and former New York Film Academy student Allan Ungar returns to the action genre with his film, Gridlocked. Written and directed by Ungar, and co-written by Rob Robol, the film stars frequent NYFA guest speaker Stephen Lang, as well as Danny Glover and Dominic Purcell. 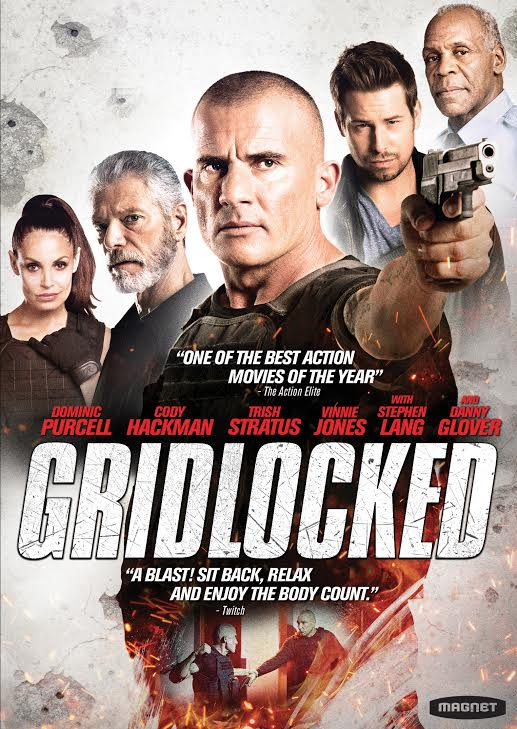 Gridlocked is about a former SWAT leader and a hard partying movie star who have to cut their ride-along short when a police training facility is overrun by a team of mercenaries. It’s a throwback to 80’s and 90’s era action films that spawned the buddy cop genre. Recently, we had a chance to chat with the writer/director before his film’s release On Demand and BluRay / DVD this upcoming June 17th, 2016. 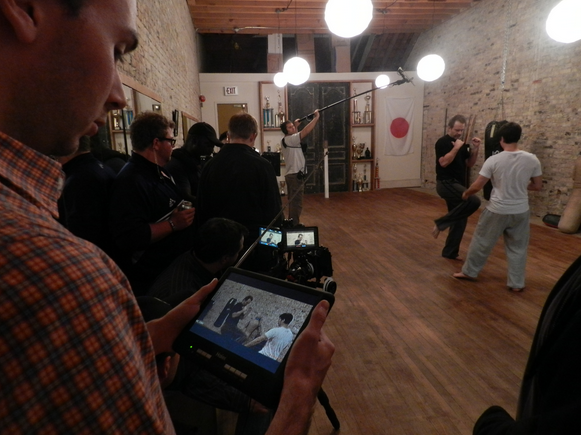 Are you primarily interested in creating action films? I’ve always been fascinated with the action genre; there’s a great adrenaline rush to it. My goal is to continue pursuing projects that have action in them but they need to have heart. I don’t think audiences care about action unless they’re invested in the stories and the characters. Ideally, I’d like to work on films that can resonate with viewers. I want projects that are largely character driven so that the set pieces have more impact. Would you say your experience at NYFA was useful in terms of writing and directing GRIDLOCKED? NYFA helped me build and utilize the basic skills that eventually lead to writing and directing Gridlocked. In the three summers I spent doing workshops, I found that the fundamentals of filmmaking were largely grasped due to NYFA’s intensive and hands on programming. The ability to grab a camera and work with industry professionals vastly helped kickstart my career. When did you and Rob begin your working relationship? Did you meet while at NYFA? Rob and I met in my final year at NYFA. He was a counselor and I was a student. We became friendly, but it wasn’t until he saw the shorts I was making that he got excited. Most people thought I was crazy for trying to bring guns on the Universal Backlot. He applauded it. After that, it was happily ever after. We began writing scripts immediately. You’ve worked with Lionsgate, and now Magnolia and Magnet to get your film distributed. Can you tell me how you’ve formed these relationships or how that came about? It’s kind of the same thing with trying to break into the industry in the first place; you knock on a lot of doors and you try to turn heads. Lionsgate came from cold calling and sending around a trailer. With Gridlocked, it was a lot easier because there was already a foundation that was built. Sales agents had already become familiar with us and distributors remembered our conversations from the first film. When we got invited to premiere Gridlocked at Fantastic Fest in Austin, there were a lot of agents and buyers who attended the screenings. We got to shake hands and get to know more about that side of the business and expand our list of contacts. In the end, we were fortunate that we had several options lined up for the film, but Magnolia was ultimately the right home. Was there something you learned from TAPPED OUT that you were able to implement or correct in GRIDLOCKED? Like anything, you learn a great deal from your first experience. You get accustomed to the inordinate amount of pressure that falls on you as captain of the ship. There’s a lot of do’s and don’ts that you pick up pretty quickly, but you’re always learning and adapting. Being extremely prepared is one of the most vital things I took away from Tapped Out. Even though I considered myself prepped and focused, there were so many things that happened on a daily basis which made me realize that I hadn’t even scratched the surface. When things don’t go as you planned, you need to think on your toes and be more creative. Having learned that the hard way on my first film definitely paved the way for some great scenes in Gridlocked. Being able to communicate your vision is also extremely imperative, especially when you’re under the gun and the clock is ticking. Gridlocked was such a daunting task, so I’m glad that I got to go through boot camp with my first film. I was recently brought on to write a new action film for director Dominic Sena called Johhny Two Guns. He did Gone in 60 Seconds and Swordfish. 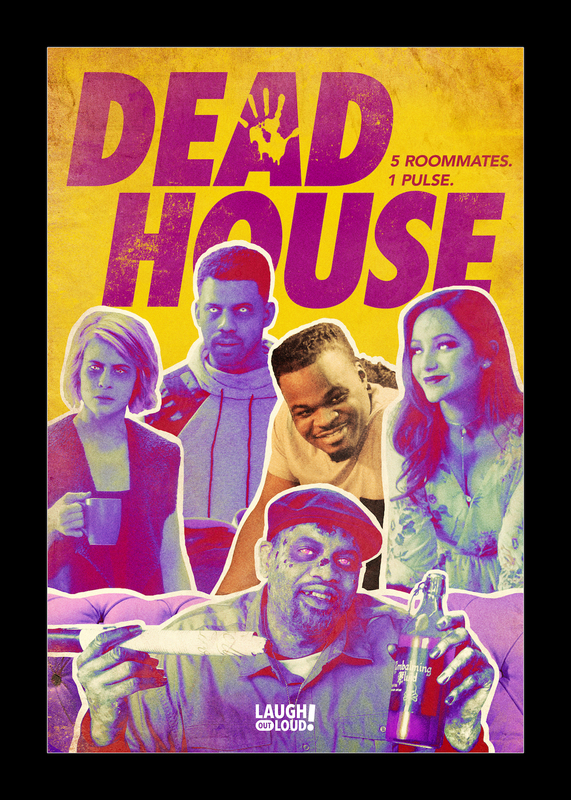 Another NYFA alum is actually producing that; Alex Lebo. I also just produced a thriller with Rose McGowan and Christopher Lloyd called Lower Bay, which should be out later this year. After three films and tapping seemingly every action movie star in the universe, one could be forgiven for thinking that The Expendables had finally run out of steam. But alas, there are still plenty of aging TV action stars out there and today they can be heard thanking their patron saint Sylvester Stallone, who will be bringing the franchise to the small screen for Fox, which he’ll also be executive producing. While no cast has yet to be announced, entertainment news outlets have already begun speculating about potential candidates, such as 24‘s Kiefer Sutherland, Walker Texas Ranger‘s Chuck Norris (who has already starred in the films), Magnum P.I.‘s Tom Selleck, and Xena‘s Lucy Lawless. The show will be written and executive produced by writing duo Greg Coolidge, who penned last year’s hit Ride Along, and Kirk Ward, along with Shane Brennan of NCIS who will also be serving as showrunner. The project comes from Lionsgate TV, the small screen sibling of the powerhouse feature film studio. 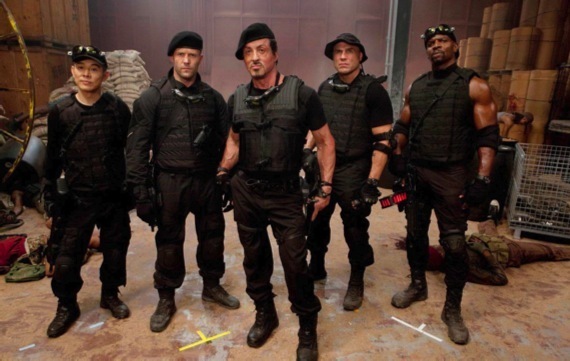 Analysts are speculating that adapting The Expendables for the small screen will be the first of many Lionsgate properties that will get the TV treatment, as the studio has reportedly been eying the many blockbusters in its libraries for television, having first floated the idea for an Expendables television show back in 2012. Telltale Games, a premier video game studio known for its choose-your-own-adventure titles, announced it will be merging its specialty product with a live-action television show. It’s a potentially big step for both media, though a natural one for the company, which has found huge success adapting popular works like The Walking Dead, Fables and Game of Thrones. 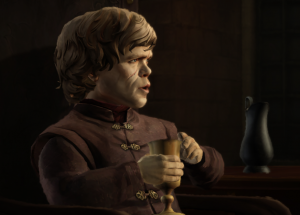 Their games, like the television shows some of them are based on, are structured and released episodically, each costing a small fee and consisting of a few hours of the overall story. Telltale’s The Walking Dead has so far released two seasons of five episodes each, which can also be purchased in bulk with season passes. Their games consist of top-end graphics and numerous cut scenes,–in effect, a TV show you watch but also control, making conversation and action choices for a playable protagonist. Telltale is known for making some of these choices strong moral dilemmas, sucking the player/viewer into a storyline against their will. Likewise these choices typically carry from episode to episode, season to season. Telltale’s new project will be both a video game and a live-action television series, with the same characters and storylines. Both will be released an episode at a time and depending on the choices made in the game, the television show may lead down a different path for the viewer. Conversely, watching the show first will affect the storyline of the game. Combining two separate media into a single interactive experience could be a groundbreaking event for visual storytelling, and only time will tell how successful it is executed and received. Plot details are unknown, but with Lionsgate producing the project, there’s a good chance it will see the light of day sooner than later. With mainstream Virtual Reality just around the corner, it might not be too long before people are living out entire fictional storylines from the comfort of their couch. Now is the time to get into game design. Check out our game design school programs here. Millennials around the world rejoiced this weekend as Lionsgate announced plans to order further Hunger Games movies as rumors swirled that Netflix is in the process of creating an original series based on the famous video game series The Legend of Zelda. Following the announcement that the fourth and supposedly final movie in the series—which was adapted from Susanne Collins’ best-selling trilogy—The Hunger Games: Mockingjay – Part 2 will be digitally remastered for IMAX 3D, Lionsgate CEO Jon Feltheimer also declared that he’s “actively looking at some development and thinking about prequel and sequel possibilities” for the successful franchise. While Collins has not created the source material upon which the films would be based, it is not surprising that Lionsgate is trying to squeeze more green out the franchise due to its massive box office. In other news, Netflix is reportedly adapting the Legend of Zelda video game series into a streaming TV show that will take the form of a high fantasy action series that chronicles the quest of a boy named Link as he attempts to rescue the princess Zelda. The video game series is renowned around the world with Nintendo having produced over fifteen installments of the series since 1987. New York Film Academy high school summer camp graduate, Allan Ungar’s first feature film, Tapped, has been picked up for distribution by Lionsgate Home Entertainment in the US and VVS Films in Canada. “Allan made the best films of any camper I’ve ever seen,” said former Teen Camp faculty member and associate producer, Rob Robol. Tapped stars Michael Biehn (The Terminator, Aliens), UFC supertsars Anderson Silva, Lyoto Machida, Krzysztof Soszynski, Nick Bateman (Hobo With a Shotgun) and Martin Kove (The Karate Kid). The Canadian Mixed Martial Arts action drama revolves around the life of a disgruntled teenager with a troubled past who enters a MMA tournament to face the man who killed his parents. The film is shooting in London, Ontario and is slated for release in 2014. The film was produced by Canadian production company Hackybox Pictures and NYFA alum Alex Lebo’s Oriahsphere Entertainment.